This morning, while reviewing news from the cryptocurrency world, one article especially caught my eye, so I read it all the way through. And found myself reading my own words. 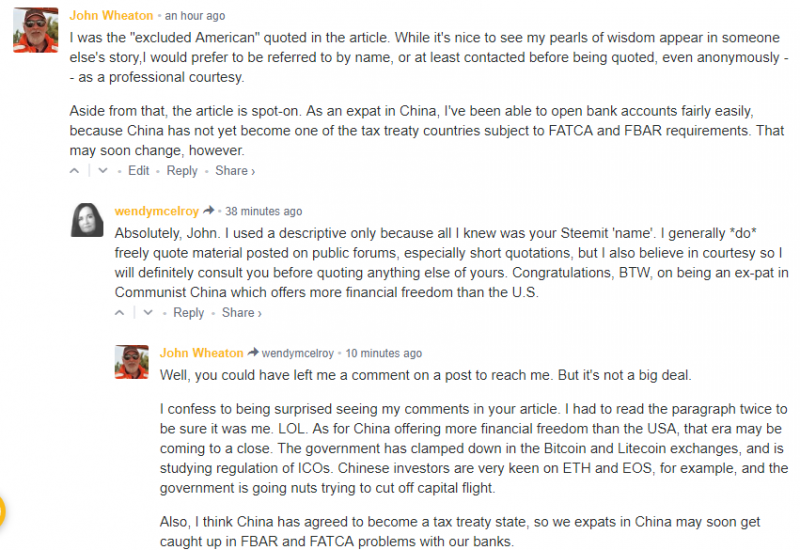 No, it wasn’t plagiarism, but the writer used a comment I had left days ago at a Steemit.com post verbatim, without using my name or Steemit handle. My feelings were a mixture of pride, surprise — and annoyance. Back in my days as a newspaper reporter, we were expected to contact people whom we would quote in a news article. Since the writer made no attempt to contact me, seeing my words in her article ruffled my feathers a bit. Otherwise, I was quoted accurately and appropriately, so my feathers are now back to normal. 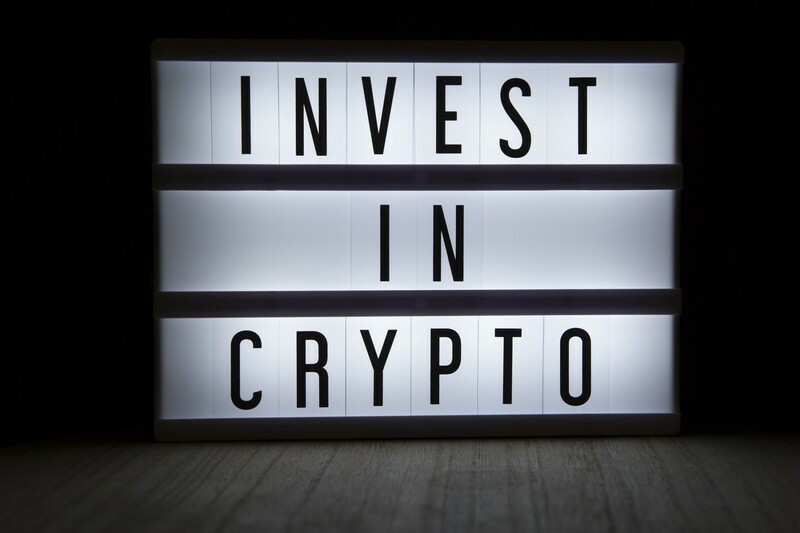 The subject of the article at Bitcoin.com was American investment in ICOs (initial coin offerings), which have recently become a very common method for cryptocurrency projects to raise money quickly. If you’re familiar with IPOs (initial public offerings) in corporate finance, the idea is the same: to get a boatload of money to help expand a business. As many ICOs are based abroad, Americans are sometimes blocked from investing in them, because of US taxation and financial reporting laws. Some would-be investors were miffed, for example, when two recent ICOs based in the EU, the Mona.co credit card project and the Polybius bank project, specifically stated that Americans could not participate in their ICOs. At Steemit, a writer blamed Mona.co (not the country, by the way) and Polybius for unfairly discriminating against Americans. I left a comment pointing out that they really had no choice. It’s not because they don’t like us. Both projects [Monaco Visa and Polybius] are seeking licensing from the appropriate financial regulators in the EU, since both projects are trying to bridge the gap between traditional financial systems and cryptocurrencies. FATCA requirements are so restrictive and obtrusive that many foreign banks and financial institutions just refuse to do business with American customers. 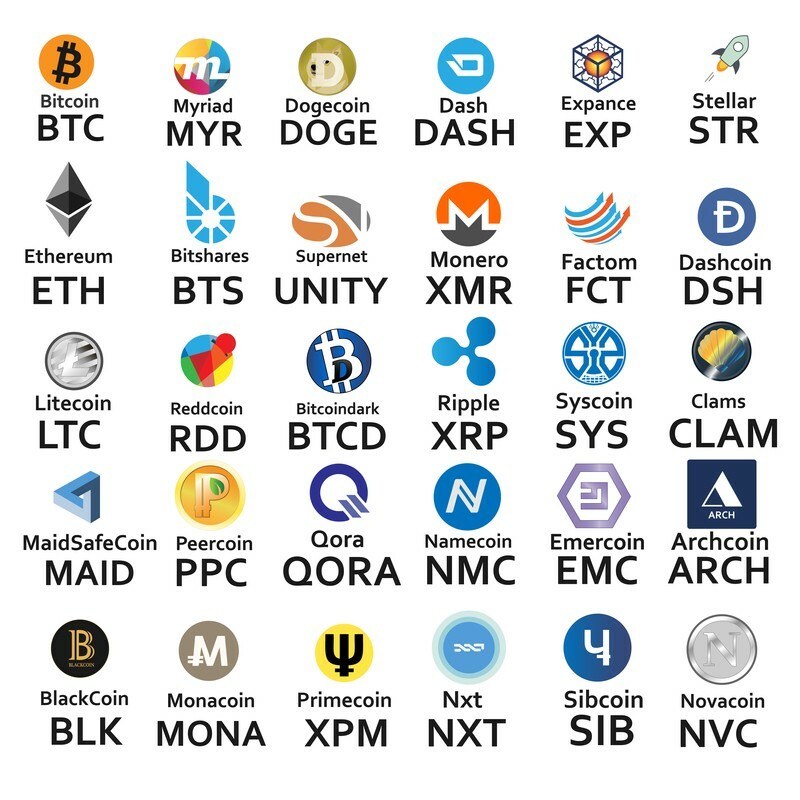 Now, the attribution does suggest I had planned to invest in these ICOs, which was not entirely true. The Monaco Visa card at the time did not have an agreement with Visa Inc. to even use its logo, so investing in their cryptocurrency-backed credit card seemed premature. So, really I was not interested in it. The Polybius project, which endeavors to form a bridge between traditional banking and cryptocurrencies, has more promise, in my opinion, but as the article notes, American taxpayers were prevented from joining in the ICO. You can read the Bitcoin.com article for more details, but the gist of the problem are two American laws, FBAR (Foreign Bank Account Reporting) and FATCA (Foreign Account Tax Compliance Act). Each one requires American taxpayers to report bank balances over a certain amount and any other investments abroad. They also require foreign banks and financial institutions to report to the IRS any accounts held by US citizens. It’s that second requirement which has prompted many financial institutions in the EU and elsewhere to refuse doing business with Americans, because the IRS reporting requirements are onerous and the penalties for non-compliance draconian. Besides, the requirement to report on account-holders often violates privacy rules and laws abroad. China has not as yet signed a tax treaty with the USA, though it apparently is in the works. So, I’ve had no trouble opening bank accounts in China, as I am a resident. Chinese law prevents me from investing the Chinese stock markets. And in any event, my income falls well below the limits set by FBAR and FATCA. Just one of the interesting consequences of choosing to work abroad. POSTSCRIPT: I left a comment at Bitcoin.com about the non-attribution, and Kathy McElroy offered an explanation. I guess the rules of journalism have changed a bit in 30 years.